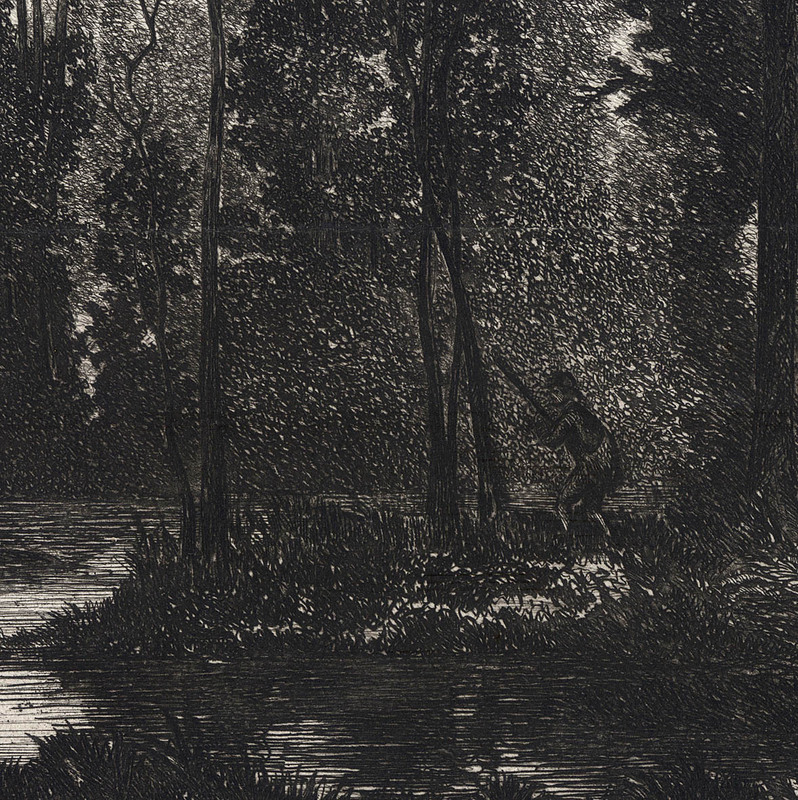 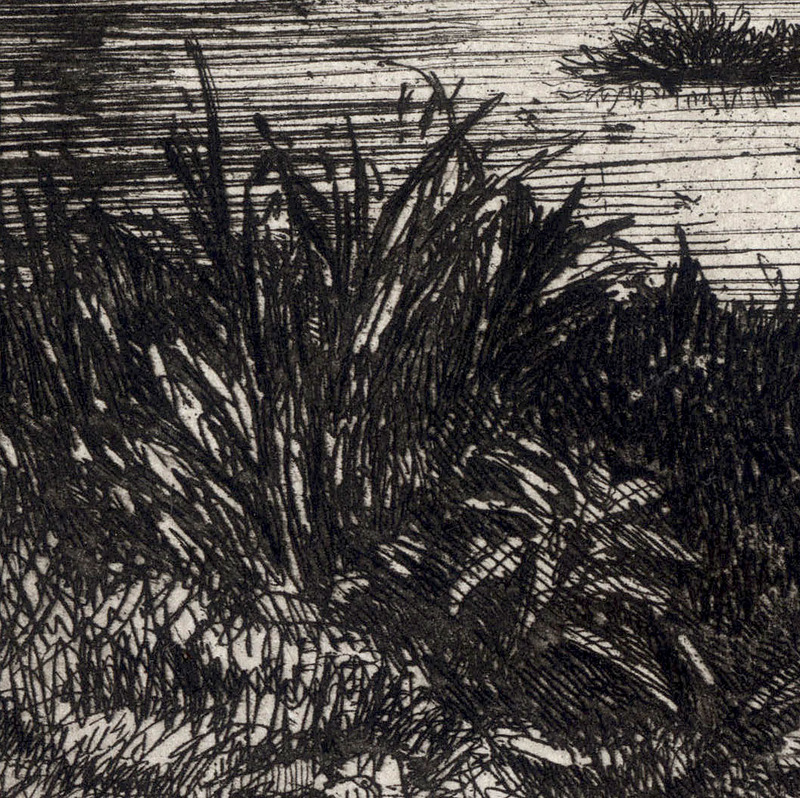 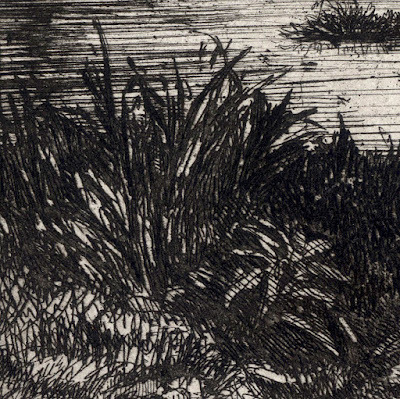 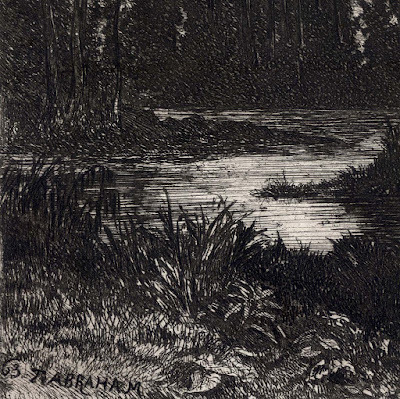 "La Chasse au Marais" (aka “Hunting in the Marshes”), 1863, published in "L'Artiste" (1863?). 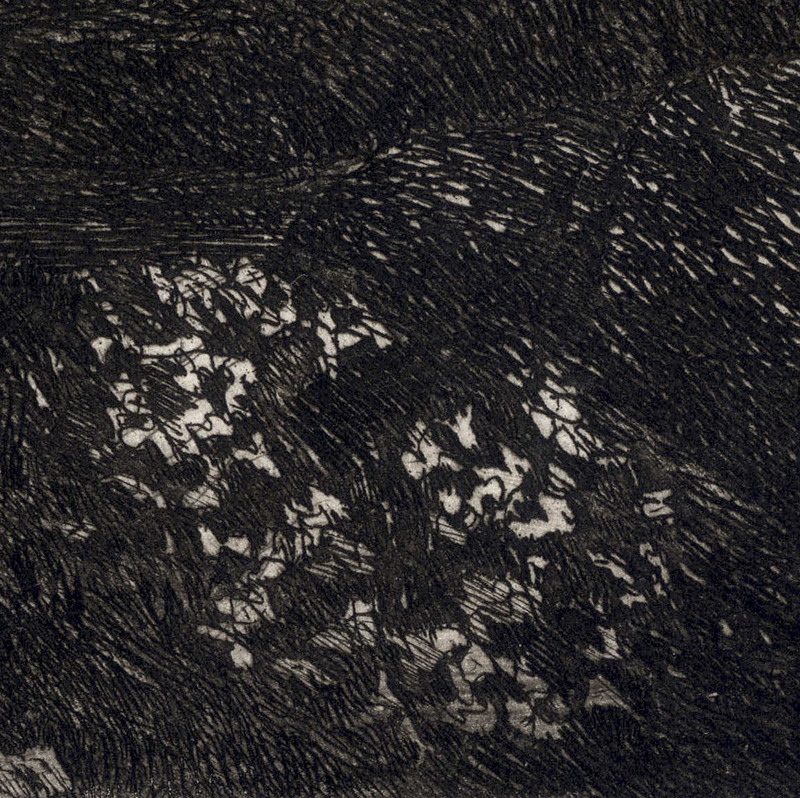 Etching on wove paper trimmed close to the plate mark and backed with a support sheet. 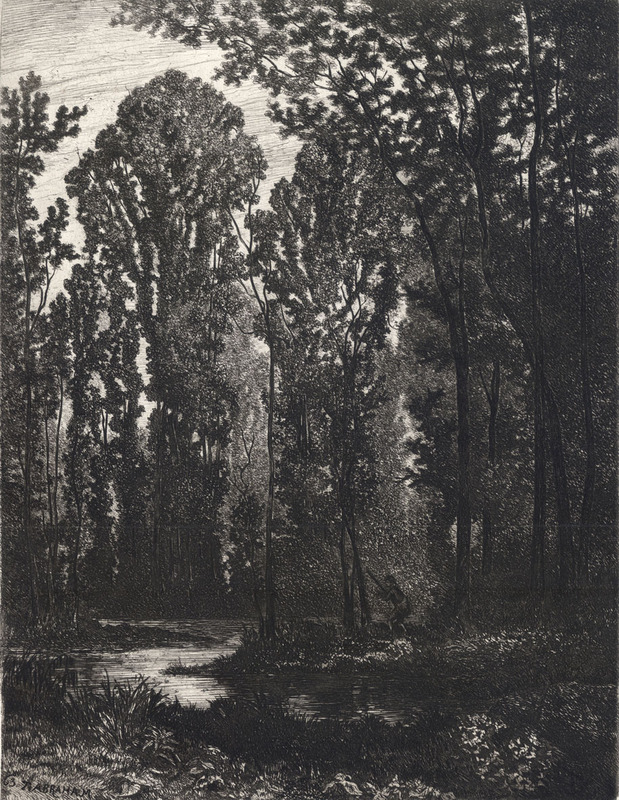 Surprisingly, this large print does not seem to be in any of the major art museums, nevertheless, it features in the online images offered by Wikimedia: https://commons.wikimedia.org/wiki/File:Tancr%C3%A8de_Abraham-La_chasse_dans_le_marais.jpg (Note: Wikimedia credits the Cabinet des estampes et des dessins de Strasbourg as holding this print but my search was unsuccessful in finding it). Condition: a richly inked and well-printed impression with the centrefold (from the publication of the print in "L'Artiste") flattened and now virtually invisible resulting from the print having been backed with a support sheet of archival (millennium quality) washi paper and light retouching of the fold line crease. The sheet is trimmed close to the platemark/image borderline and is in near pristine condition (i.e. 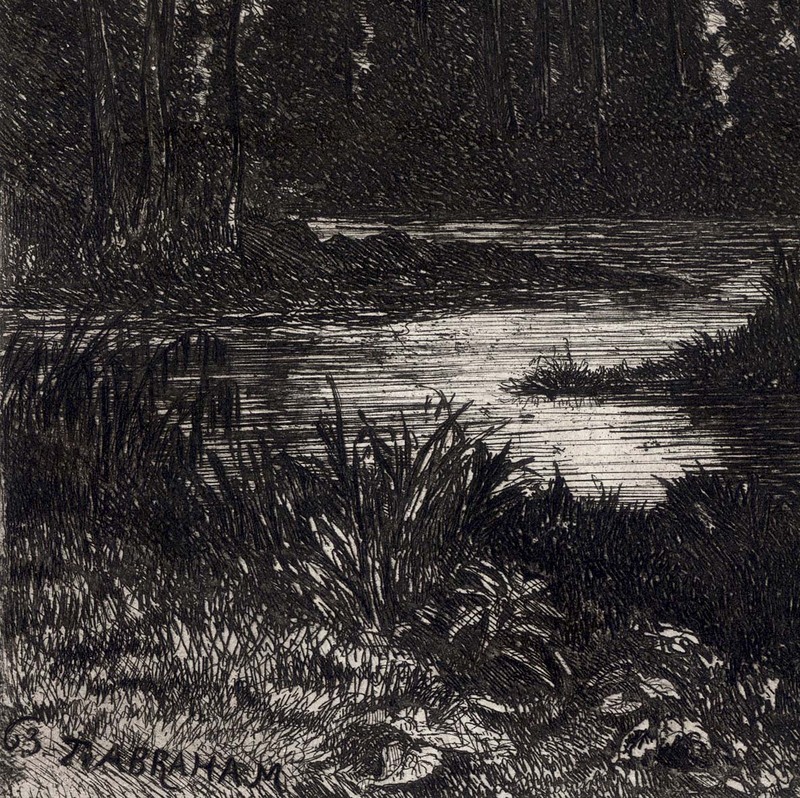 there are no tears, holes, abrasions, stains or foxing). 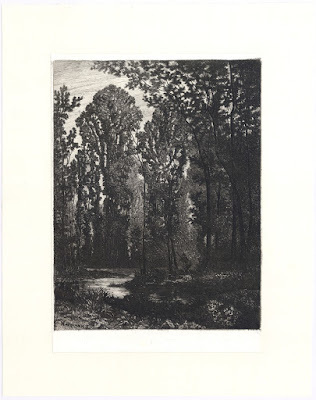 I am selling this large and visually arresting romantic etching for AU$146 (currently US$113.02/EUR95.91/GBP84.21 at the time of this listing) including postage and handling to anywhere in the world. If you are interested in purchasing this spectacular and darkly moody print showing an almost invisible lurking hunter in the darkness of a tree-bordered marshland glade, please contact me (oz_jim@printsandprinciples.com) and I will send you a PayPal invoice to make the payment easy. 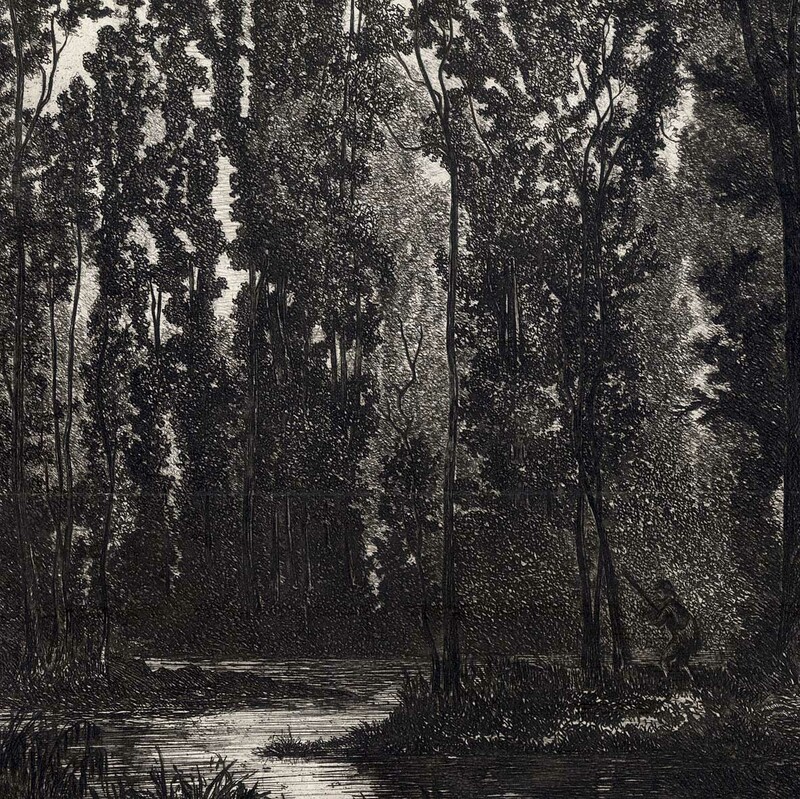 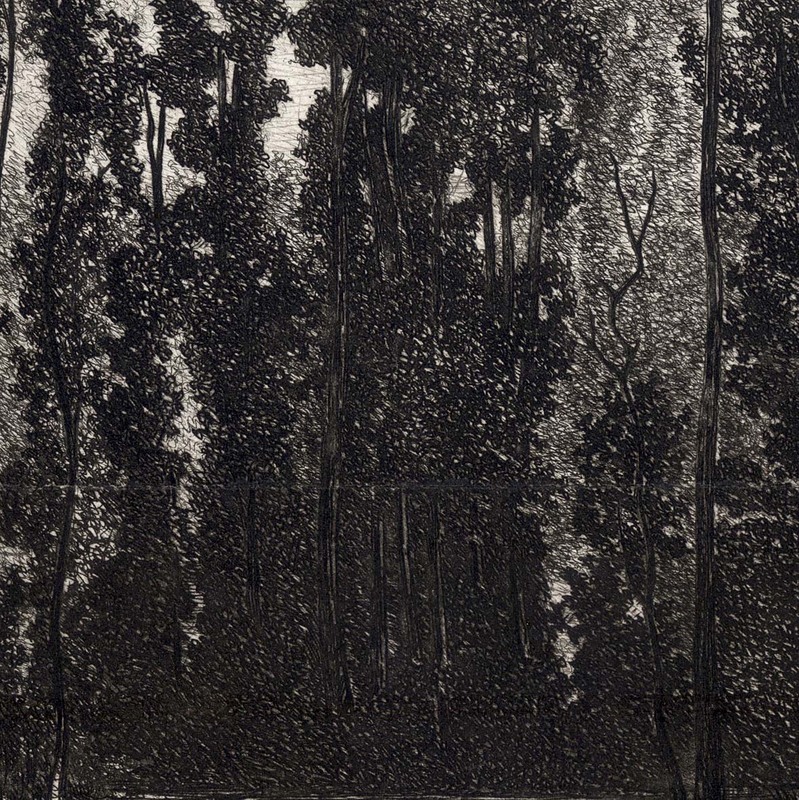 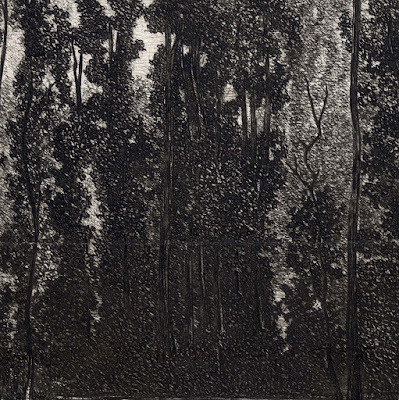 To my eyes, this dark and romantically moody print presents a slightly different scene from what the title proposes: a hunter stealthily seeking game in a marshland glade bordered by tall trees. 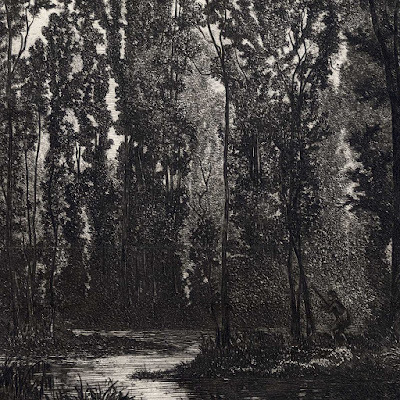 For me it is not really about hunting at all—even through an almost invisible hunter is portrayed in the shadow—but rather the focus of the composition is on light shimmering on and sparkling through a screen of trees. This particular focus was very topical at the time that the print was executed—1863: the advent of a change in thinking foreshadowing the first Impressionist Exhibition of 1874.